SUBHEAD: RoundUp kills the way that plants create photosynthesis. It shuts down the immune system. Image above: Glyphosate being sprayed on winter wheat sevendays before harvest to wither the crop for easier harvesting. Photo by Gary Naylor. From (http://gnp.photoshelter.com/image/I0000kK3KyBLj_Vs). In November, a very concerning report — Glyphosate: Unsafe On Any Plate — was released by The Detox Project and Food Democracy Now!, raising the alarm of the high levels of glyphosate in the US food supply and the (deliberate?) low levels of awareness of its associated health risks. Dave Murphy, executive director of Food Democracy Now!, joins us this week to explain the finding of this new report on the world’s most-used herbicide (more commonly known by its retail brand: Roundup). As happened in past decades with the alcohol and tobacco industries, there’s compelling evidence that profits have taken a priority over consumer safety — and as public health concerns are being raised, Big Ag is circling its wagons and attacking the questioners rather than embracing open scrutiny. Are we being poisoned in the pursuit of profit? Look at the chemical and what actually it does. Monsanto has three patents for glyphosate and the first one is from 1964 from the Sulfur Chemical Company in Westport, Connecticut. It was originally used to clean pipes. It's like Drano: it basically strips minerals out of and heavy metals out of a pipe. Scientists have found that it actually chelates those same minerals in soil and makes them unavailable into the plant. At some point in the 1960s a Monsanto chemist discovered that it would also kill weeds. Monsanto applied for a patent in '68 or '69, was awarded that patent in '74, and that is when Roundup first went on the market. It was used you know in forests and to kill weeds on road sides and that kind of thing. It was used in forest management for a long time and in public parks. Today, 300 million pounds of glyphosate-based herbicides are used here in the United States each year. In our report ,we have one graph showing how from 1992 (four years prior to Roundup Ready crops being introduced) to 2014 -- I mean -- the states of Minnesota becomes three quarters covered in all black. Iowa is fully blotted out. Illinois is fully blotted out. North Dakota is mostly blotted out and so is South Dakota, Nebraska and Kansas. And this is just showing you how widespread glyphosate use is. The US geological survey did tests in 2007 and again in 2011, showing that 75% of the rain water and river and stream samples in the Midwest contained glyphosate, which is pretty alarming. This chemical is being sprayed on our food and then is evaporating into the air and going downwind and being taken up into clouds. It can fall hundreds of miles away from where it is originally applied. The reason we took our time with this report and why we made it so detailed is because the highest level of glyphosate found today is in Cheerios, which is often the first solid food that a mother will feed her child as they are transitioning from breast milk or formula. Cheerios is an iconic brand, and all the mothers I talk to explain how their babies love to grab onto them. They are a perfect finger food because they have that hole in the center. And so it is a common food for a mother to automatically give her child. The only problem is a single serving of Cheerios to a one year old child would subject them to a harmful dose of glyphosate. Chris Martenson: Welcome to this Peak Prosperity podcast. I am your host, Chris Martenson, and today is November 28th, 2016. This is an important podcast about an important subject. Today, we are going to be talking about the chemical herbicide glyphosate. We are going to cut right to the issue affecting your health and that of your children and loved ones. Unfortunately, we are also probably going to undermine any remaining trust you may have in the hybrid system of corporate interest and government regulations that we all live under. According to a new report, glyphosate residues are found in, I will use this word carefully, alarmingly high levels, in a wide range of popular American foods. Luckily, my PhD was in toxicology, so I find the materially relatively straight-forward to interpret and report on, and I don’t trot out that pedigree very often, but today I will. This report is thorough. It is careful. It is comprehensive. And today we are going to be talking with one of its lead authors. This report was put together by a group called Food Democracy Now and it is calling for renewed Federal investigation into the likely harmful effects of glyphosate on human and environmental health, as well as for a ban on certain uses of glyphosate. So who is Food Democracy Now? Well Food Democracy Now or FDN is a grassroots community dedicated to building a sustainable food system that protects our natural – excuse me, that protects our natural environment and sustains farmers and nourishes families. Their first campaign successfully put officials endorsed by FDN members in the Obama administration, so they know how to get results. From the FDN website we read “Our food system is fundamentally broken. A few companies dominate the market prioritizing profits over people and our planet. Government policies put the interest of corporate agribusiness over the livelihoods of farm families. Farm workers toil in unsafe conditions for minimal wages. School children lack access to healthy foods, as well as millions of Americans living in poverty. From rising childhood and adult obesity to issues of food safety, air, water and pollution, workers rights and global warming, our current food system is leading our nation to an unsustainable future.” End quote. Now we here at Peak Prosperity share a lot in common with our assessments of the FDN. Yes, our food system is broken. No, it does not have to remain that way. All of our interviews with Joel Salatin of Polyphase Farm and the Kaisers of Singing Frog Farms, among many others prove there is another way to farm that is actually in relationship to the earth, its rhythms and each other. To tell us about glyphosate and the startling new report they commissioned is Dave Murphy, the founder and executive director of Food Democracy Now. Murphy has been called the most crucial and politically savvy actor in the ongoing efforts to help move American agriculture into the 21st Century, as a result of his Sustainable Dozen campaign, which resulted in four candidates being placed in high level positions at the USDA, and his efforts to reform food and agriculture under the Obama administration. In 2006 Murphy moved back to Iowa to help stop a factory farm from being built near his sister’s farm. After seeing the loss of basic democratic rights of rural Iowans, Murphy decided to stay in Iowa to fight for Iowa’s farmers and rural residents and expose the flaws of industrial agriculture to help create a more sustainable future for all Americans. Previously, he has worked as an environmental and food policy lobbyist and political strategist. His writing has appeared in The Nation, The Hill, Huffington Post and the New York Times. Welcome, Dave. Dave Murphy: Thank you very much, Chris. It is a pleasure to be here. Chris Martenson: It is really great to have you on, because I admire and support the work that you are doing, first to reform farming as a practice and as a lifestyle; and because we at Peak Prosperity, Dave, we have been poking around the edges of this glyphosate story for some time. I’ve got your report right in front of me. People are going to hear me thumbing through it. And it is titled Glyphosate Unsafe on Any Plate. Hey clear nod to Ralph Nader’s book that shook up the auto industry, am I right? Dave Murphy: No, absolutely. We think that, much like the automobile industry – the interesting thing, the parallels are very similar. The automobile industry in the 40s and 50s and 60s, they focused on mass producing cars and trying to produce them cheaply. They didn’t put safety first, and when critics of safety records of automobiles first became public, they were vigorously attacked. The interesting things is European auto industry starting with Volvo and then Mercedes and Audi, they took safety, you know safe vehicles and safe cars seriously. One of the things is the European auto industry is doing much better than Detroit at this point. I mean, Detroit fought regulations and they fought safety rules and regulations and people’s trust in the American automobile has declined. I think the same thing is happening here in the United States. Basically, these food companies have relied on basically an outdated mode of producing cheap calories that really started under Nixon. Producing cheap calories, that policy or that belief system has not really resulted in producing the safest, healthiest food. There is a lot of cheap calories out there, but if you walk down your average street in America, you will notice one thing – most people do not look healthy and, in fact, we have an obesity academic where over 60% of adults US and American adults are overweight or have or are obese, which is kind of alarming. Chris Martenson: Indeed. The health epidemic that we are facing is pretty serious. There is clearly something that has gone wrong. Epidemiologically, we have all the data that we need. I like how you are framing this, saying look, when industries come along, they of course want to do things as cheaply as they can, because we have a profit motive and they do that, and then eventually people start to get more sophisticated and they say hey, we would like cars that don’t kill us when we bump into a brick wall at 10 miles an hour. That would be fantastic. Can we do anything about that? Dave, how impressed I am at this report. I’ve got it in front of me, Dave. Twenty-nine pages cover to cover. It is packed with science. It has got the latest research. Knowns, the unknowns, lots of citations. It is hard hitting, but not sensationalist. I think it is just a great example of how such a report should be done. So, first question – what led your group to put what is clearly a lot of time and effort into producing this report? Why glyphosate? Dave Murphy: There’s two reasons. You know, one I am from a small town in Iowa. You said earlier in the introduction I moved back to fight a factory farm away from my sister’s farm. And what I really learned is that the rules of democracy are rigged against us. Especially if you are a family farmer, you are someone living in rural America and you support clean water and clean air. You know these industries have figured out a way to kind of lobby and use their political donations or lobby in influence to always rig the rules against the citizens and clean water and clean air and clean food. I will just say Roundup — one of the things is being from Iowa you are always aware of what the biggest industry in your state is, or at least you should be. And for Iowa that is agriculture. And I moved back initially to fight factory farms, but it was very clear there was a real problem with Monsanto bullying farmers in the Midwest, threatening them over, you know, what they claim would be patent violations and making up claims that were illegally saving seeds. That is really how Monsanto first got on our radar. They are bullying farmers in the Midwest and then I started looking into it further. One of the interesting things is Iowa produces 97% GMO soybeans and 94% Roundup ready corn. So Roundup is the main chemical sprayed in our state. The more I learned about it and the more I kept reading about new studies coming out, the more concerns we had. And then we helped lead these GMO labeling ballot initiatives. We kind of dug into the history of Monsanto. And I studied history in college, so I always like to look if I am analyzing a company, I always like to go back to their long-term history, not just the product that they are producing now. One of the alarming things in Monsanto’s history they produce some of the most toxic chemicals on the planet, including Agent Orange, PCBs, dioxin and DDT. And one of the things about them is that each – in each case of these chemicals that they produced, they were illegal, they were approved by the FDA or EPA and you know I mean the proper agencies the problem is just like the tobacco industry, Monsanto knew that these products were causing harm even to their own workers and they still hid the fact of harm. Even from their – I will just say like if you read the transcripts from the trial of US veterans, you know — Vietnam veterans on Agent Orange, it would really give you pause when you learn that these are the people responsible for producing the seeds, and then the chemicals that go on your food. So, we chose to do this report because, in the process of our investigation in looking into this, we found out that the USDA had never really even released pesticide residue results for glyphosate. I find that really shocking that it is the mostly widely used weed killer or herbicide in America and also the world, and the US government won’t release basic pesticide residue data to the American public. Those are the things that, as a citizen and a resident of Iowa, I find it kind of shocking. So we looked into these. We did a year and a half investigation behind the science and the regulatory, what I would say, collusion or manipulation by the industry. We looked into it, and then we were able to find a lab that did this testing. We had no idea what we are going to find, meaning we had an idea where it may be, but we had no idea what the levels actually were. I think that the reason we took our time with this report and the reason we made it so detailed is because the highest level was in Cheerios, which is the first, like, whole food that a mother will feed their child as they are transitioning from breast milk to formula. Cheerios is kind of an iconic brand and all the mothers I talk to, the babies love to grab onto them. They are like perfect finger food, because they have that hole in the center. And so it is a perfect food for a mother to automatically give their child. The only problem is a single serving with this level of glyphosate residue is twice as harmful to health, as new research is showing that like the levels we found in Cheerios with glyphosate it was 1,125.3 parts per billion. One serving of Cheerios to a one year old child is twice as evident – current research and scientific evidence shows just that one serving that child would be exposed to a harmful dose of glyphosate. Chris Martenson: So, let’s start at the beginning. I love starting at the beginning with this then. Glyphosate — so from your report I learned a couple of things. I learned that it was originally patented as a chemical. So glyphosate is a compound. It is a molecule. It was originally patented to clean pipes in 1964. Somebody invented a — Stauffer Chemical — and they are using it to remove unwanted mineral deposits from metal. Pipes, that is what they started with. It does that because it is a chelating agent. That means it binds things. So, anybody that does any or heard about so-called chelating therapies, where you have to take toxic metals out from your body. You have been acutely poisoned or chronically — a chelating agent simply binds things. Vital nutrients such as iron, manganese, boron, in the soil, they get bound up by glyphosate. It wasn’t until later; it was 1974, it was discovered — hey, this compound also metabolically poisons plants. So, take us through the beginning of where really glyphosate came from and, beyond that, how did this really come to be such a dominant position in the Iowa landscape? Dave Murphy: Well, listen, that is a great question. The interesting thing is, you know, Montana likes to claim that and they have claimed this for 40 years — glyphosate is perfectly safe. It is safer than table salt. We even have Monsanto propagandists. They have PhDs, but they still – they are so zealous in their defense of Monsanto’s product. We had a guy, last year, say he would drink a pint of Roundup glyphosate on air and as soon as the interviewer offered him a glass he said oh no, no. I’m not stupid. So clearly, in you know, in theoretical world they claim it’s safe, but in reality when they are exposed to it, they say no. And here are the things, so we you look at the chemical and what actually it does. Not just one, the patent they have for herbicidal or weed killing action, and the interesting thing is glyphosate has three patents and as you mentioned the first one was in 1964 Sulfur Chemical Company in Westport, Connecticut. One of my best friends from college lives in Westport, Connecticut. I found it very interesting it was originally used to clean pipes. It’s like Drano. Like you said it basically strips minerals out of and heavy metals out of a pipe. The fact is, scientists have found with some studies that it actually chelates those same minerals in soil and makes them unavailable into the plant. Apparently, it wasn’t the best you know, it wasn’t the best pipe cleaner or they couldn’t bring it to market at scale at that time. So, at some point in the 60s a Monsanto chemist discovers that this would kill weeds. I think they applied for a patent in ‘68 or ‘69, Monsanto did. They were awarded that patent in 1974, and that is when it first went on the market. You know, it was used, you know, in forests and to kill weeds on you know, road sides and that kind of thing. It was used in forest management for a long time and in public parks. The other thing is, interestingly though, in the 1980s Monsanto was looking for a way to diversify their portfolio. They didn’t just want to be a chemical company and biotechnology was coming along. And so, several of their scientists cleverly figured out that they could take a gene – they found some weeds that became resistant to Roundup on their property somewhere, and then there are scientists that analyze those plants, and they found a gene in there that made them resistant to Roundup and then they inserted it into corn. They made genetically engineered Roundup ready corn and soybeans. And so, in 1996 glyphosate use really started to explode across the country and had been pretty minimally, I should say, minimally used compared to what it is now. In the last 20 years since 1996 Roundup ready crops they have GMO corn that is Roundup ready, soybeans, cotton, sugar beets and canola. So, Monsanto always says, biotech industry always says, that they are here to feed the world, but these — we need biotechnology and genetic engineering to feed the world. In reality, when you look at the business model and you look at the system of what GMOs or genetically engineered crops have created, it is really a toxic chemical delivery device. They created food crops that allow them to survive being sprayed with Roundup. Everything else in the field dies, but glyphosate and Roundup does not kill those plants that contain those genes. The interesting thing is today 300 million pounds of glyphosate is used Roundup ready and glyphosate based herbicides are used here in the United States; and in the report we have, this one graph, this one chart on it is on page three, that kind of shows from 1992 prior to this is four years prior to Roundup ready crops being introduced to 2014. I mean, it is just like the states of Minnesota is three quarters covered in all black. Iowa is fully blotted out. Illinois is fully blotted out. North Dakota is mostly blotted out, and so is South Dakota, Nebraska and Kansas. And this is just showing you how widespread glyphosate use is. The interesting thing is, the US Geological survey did tests. I think they started in 2007, and they followed up in 2011, when they showed that rainwater and river and stream samples, 75% of them in the Midwest contained glyphosate, which is pretty alarming. It is the chemical that is being sprayed on our food and then it is evaporating into the air and going down wind and you know, being taken up into clouds. It can fall hundreds of miles away from where it is originally applied. Chris Martenson: Dave, you mentioned a third patent. I think we missed it. What was that third patent one? Dave Murphy: Yea it – Monsanto’s patent on Roundup expired in 2000, so they went off patent and it is a generic chemical. Other chemical companies can create it. But it is still a third of their – it is still worth over $5 billion for them annually. Interestingly, in the early 2000s they applied for a patent at the patent office for an anti microbial. Not only does glyphosate work as a metal chelator, a mineral chelator and a weed killer, it also has an anti microbial aspect to it. This is where scientists really need to look into that mode of action by which glyphosate operates. Monsanto has always gotten away, and the regulatory agencies have always gotten away, with saying that glyphosate doesn’t harm humans or mammals because we don’t have what is called a schechemic pathway. Plants have what is called a schechemic pathway, and that is where they produce three essential aromatic essential – I’m sorry, amino acids. And those amino acids produced in that plant, they help that plant grow through photosynthesis, though it also helps with its immune system. The thing is, glyphosate shuts down that – the schechemic pathway. They are claiming that humans and mammals don’t have it, so there should be no impact on human health. The fact is, humans are interestingly enough, we are an animal. We are a species, but we have trillions of bacteria on our body and in our stomach. The last five or 10 years scientists have really discovered the major importance of the autoimmune is with your stomach bacteria. So, your gut microflora and in fact your gut microflora do have shechemic pathways. So, any level of residue on food has a possibility of going into your stomach and disrupting that essential microflora in your stomach. Just like if you take an antibiotic, it will kill beneficial microorganisms. The thing is, glyphosate does the same thing. It will kill beneficial micro organisms in your stomach and, interestingly, even USDA scientists have shown, Bob Kremer, used to work at the University of Missouri, famously showed research on his brother’s farm that glyphosate was killing beneficial micro organisms in the soil, and as a result harmful ones were coming to the surface. Famously, in agriculture production, when glyphosate is sprayed the usarium fungus is the one that comes up. I would just say it may not sound interesting, it may sound scary, but that is – the rise of usarium fungus in farmer’s fields, it leads to crop diseases. And two of the most prominent crop diseases in Iowa are sudden death syndromes of soybeans and also Gosses wilt in corn. Basically, it happens because there is a real massive imbalance in the soil bacteria and these harmful ones come to the surface. So, Monsanto basically has a chemical that they are spraying on their food that they have only gotten approval for based on one criteria. And that is the herbicidal criteria. They think of doctors and toxicologists and they start looking at these multiple patents in these multiple mode of actions, they are really going to find in the long run glyphosate is probably even more harmful than DDT to human health and the environment. Chris Martenson: This is really shocking and I guess it shouldn’t be, but the story here is that I think a lot of people assume that for a chemical that we are going to apply 300 million pounds of to ourselves, that would pretty thoroughly studied. That there would be a variety of studies conducted. In animal studies you would have acute and chronic studies, meaning we find out what the lethal dose is, but then we are interested more long-term. What happens when we are using this compound and you know what happens to things like cancer formation to embryo formation a long – term reproductive health effects, endocrine system functions. You would think all of that would be studied and, in particular, it wouldn’t just be the stripped out compound, it would be the actual formulation that is used; something that you point out very well in this report, which is that glyphosate is a specific molecule that is called the active ingredient in something like Roundup. But Roundup consists of both glyphosate, plus what they call, insert air quotes, “inert” ingredients which are other things that have their own effects which we should probably study the thing that is being applied as the entire compound rather than just the soul part. How much of those studies have actually been done that we just described? Acute, chronic, long-term as well as multiple species studies? Dave Murphy: Well, listen. You obviously have a full scope of understanding of the type of what we would think would be rigorous kind of studies that are conducted or reviewed by the FDA or the EPA and the US regulatory agencies. The interesting thing is none of these agencies conduct their own studies to show if this is safe. They rely on the industry to provide them with studies. Chris Martenson: So Monsanto conducts a study. So, who specifically in the industry has conducted any glyphosate studies that have been reviewed by the USDA and the FDA? Dave Murphy: Every chemical that is being sought for approval the only science that the agencies will review is corporate sponsored science supplied by that corporation. So, in the case of glyphosate, it was that research, independent research, I shouldn’t say it is independent, because it is not. It is corporate sponsored. That is supplied by Monsanto in the bio tech industry. And the other data, as you mentioned here, is the thing – glyphosate is the main chemical ingredient, but it only makes up 41% of the formula of the weed killer Roundup. And glyphosate by itself does not kill weeds. It does not kill plants. It actually needs that 59% of the other formulation, which is not tested, so that you’re right. They never test the complete formulation for safety. They only test the single active ingredient. The interesting thing is other scientists around the world and even the US have done independent studies and they always show glyphosate is more harmful than Monsanto admits. But even more importantly, Roundup, the entire Roundup formula, is basically 125 times more toxic than glyphosate alone. The US government has kind of rigged the rules against us. The chemical industry helped lobby for that by only requiring the main chemical ingredient to be tested. The interesting things is yes, trade secrets. Monsanto submits trade research and the EPA reviews it. The interesting thing is I read the old historical documents, which is the EPA and Monsanto going back and forth, and they did studies on rats, they did studies on mice, with dogs, all various animals to get this approved. But the interesting thing was the EPA’s own scientists, when they reviewed some of these studies, were alarmed. In fact, in the 1980s there was a time for several years where glyphosate was considered a probable carcinogen, but Monsanto kept submitting additional studies and additional, what they call, historical data. So eventually, the study that showed it was probably carcinogenic just became noise. They were successful in submitting an avalanche of data, new research from third party labs, that they claimed showed safety and there was no reason for concern. Chris Martenson: Now this is – so, as a toxicologist, if I wanted to go and read these studies that have been – that were submitted to a public agency so that a compound could be regulated for a public good, where would I go to read these studies? Dave Murphy: Well, these studies are not publicly available. Dave Murphy: You would have to do a freedom of information act request to get all the original submissions from the EPA. The EPA is the agency that governs approval for a new chemical, new weed killer, and they would submit this research. The interesting thing is, it is not publicly available. It is not listed on the EPA’s website. You can’t find it on any public or federal government website. And even worse is when you FOIA it — I talk to other people who have tried to FOIA this. They send you back a lot of blacked out documents, meaning that they send you some information. But then they black out all this background data, which you can’t in the real scientific community; how can a chemical claim that it is perfectly safe when they only did safety assessments for 41% of that product’s formula? Even worse is when the scientific community can’t review that data independently of the federal government or independently of this company. The scientific community really has no idea if this product is safe. We just have to take the word of Monsanto scientists again, which from my review of history they are most like – they are probably one of the biggest corporate criminals on the planet, just when you review all of the chemicals that they released into the public domain and knowing and even after years of using them they find out they are harmful, they don’t try to get that product off the market. They use tobacco tactics to delay any concern. Ultimately, they are usually defeated in a court situation. So, the good news is there is about 10 lawsuits right now linking Monsanto’s Roundup to cancer. So there is basically 10 civil suits out there. I think really fundamentally all the data needs to be released by the EPA. It is basically criminal malfeasance on the part of our government and these corporations to continue this. Chris Martenson: Absolutely. So, I want to get into some of the data here; and for anybody listening, trust me we are going to get to very actionable things. There is a way for you to personally carve your way through this and keep yourself safe. We will get to that in just a minute. But let’s just talk very quickly. I got a little confused and I am a toxicologist, so I got a little confused going through the data. I was unfamiliar with where you talked about the acceptable daily limits have been. There is a term here, which is when we set a dose of something, we set it in terms of how much you weigh and how much of this thing you are allowed to have over some period of time. So, we might express it in milligrams, the amount, per kilogram, per day. So, reading through this, I found that in the US the daily acceptable limit is 1.75mg of glyphosate per kg per day. Did I get that right? Chris Martenson: That’s an interesting number. 1.75mg per kg per day. That means if you are an 80kg person they are basically saying hey 140mg of glyphosate ending up in you incidentally as you wander about eating things or being rained upon, I’ve just learned, is fine. We are cool with that. Let’s start with that number first. How does, first off, 1.75mg per kg per day, that is a pretty high amount to me, based on – that is, we are saying that is a fairly safe compound. First, how does that compare to what the original number was that was set in the United States that the EPA, I assume, set based on the original data that they had gotten? Let’s start there. What was the original amount? Dave Murphy: You nailed that perfectly. You mentioned it. The current acceptable daily intake level from the US EPA of glyphosate is 1.75 mg per kg of bodyweight per day. Originally, this was set by the EPA, again based on the research that Monsanto had submitted to them it was at .1 parts per billion. So they increased it quite a bit originally. And the reason they applied for 1.75 mg per kg is because they knew that in – they were already doing research on genetically engineered crops Roundup ready crops. They raised the level as soon as they created a viable plant. The interesting thing is Europe’s assessment of glyphosate’s toxicity or safety they came in, they reviewed the same data and it was the German consumer safety agency or BBL. They set the European Union limit at almost six times lower. It is .3 mg per kg and that is basically after reviewing all the same data. In the process of this investigation, I will just say I had to go through a lot of historical documents that were not interesting, but they did provide a lot of fascinating information. And so I looked at the German government; this agency’s original review of glyphosate. It was 1998 when they reviewed this and they looked at the same data and they actually in their report, I think it was a couple hundred page report, they had a fascinating chart. This chart is on page 16, if you want to take a quick look at it. It says multi generational rat studies on glyphosate with recommended ADI levels. So this is a chart and it lists eight different companies applying for the allowable daily intake. They want to set a level, so that way it becomes the industry standard. So all of these other chemical companies are asking for ADI levels at, I mean .1 mg per kg .06 mg per kg .3mg per kg, .05 mg per kg and the US, you know, basically the chemical company in the United States responsible for this chemical, Monsanto, they asked for one that was at 1.75 mg per kg. And this was so unique that the reviewers actually put this chart in there to show you the differences. More importantly, they said this – this is what they said in their food safety report. They said a very high ADI of 1.75 mg per kg of body weight was proposed in the joint dossier of Monsanto and Caminoba (that is a Dutch chemical company) based on the no, or no observable effect level for maternal toxicity in a teratogenicity study in rabbits. Basically, there is this famous study, Tasker 1980, and basically the European reviewer said it is discussed here, since it is far outside the range of all the other suggested values. So, they were shocked. They looked at the level requests by Monsanto and they just said this doesn’t make any sense, especially based on all of the studies that you have submitted. Rather than expose their citizens to a level of what may be considered harmful, they chose to pick a level that was five and a half times lower. More importantly, you should be concerned at how high it is actually set. You know what I mean? I tried to tell about the history and the background of it. It is like today’s’ reporters don’t have time to even do a surface dive into the facts. And if they know if it is going to conflict with the chemical company like Monsanto, they are just going to be attacked for days, if not weeks or months. So, journalists are, many times, hesitant to cover this topic because it is so controversial. Chris Martenson: Controversial. Let’s be clear that is something that we cover at Peak Prosperity a lot is that there is astroturfing and other tools that corporations bring to bare. Information is important. They don’t fight clean. They don’t just like put out an ad that refutes what you are saying. They will bring in people leaving nasty comments on your site and they will make calls to your advertisers. They understand what they are doing. They understand how to play this game. But anybody who has studied, I love how you said this, the tobacco industry, this is how the corporate game is played. You do what you can. But let me get back to this – when was it bumped from .1 parts per billion all the way up to this 1.75mg per kg? When did that happen in the US? Dave Murphy: That would have happened in the late 80s. The original .1 parts per billion that was set in the early 80s. It was very evident. I think Monsanto probably panicked when there was a two or three year period, or at least a year period year or two period where glyphosate was considered probably carcinogenic, because you know, that is probably not going to be allowed to be sprayed on your food if it had that classification. And so, I will just say they, obviously, they applied for and they received approval in the late 1980s, which is in full knowledge of the fact that Roundup ready crops would be coming online in the next decade for this high acceptable daily intake. And the interesting thing is the federal government, it is almost like every single time that Monsanto has applied for increased glyphosate residues on food they have been awarded that. The government has complied with them. In 2013 the Obama administration, even the Obama administration, approved an increase in glyphosate residues on certain crops. It is not really based on safety assessments. It is based on the fact that more and more of this chemical is being used in our environment and especially in farming. Chris Martenson: This is critical, because we didn’t talk about one of the key uses, which is just shocking when it is revealed, which is that glyphosate is used as a desiccant, a drying agent on certain grains, simply to help them dry a little faster at the end of a harvest cycle. I am sure you know much more about that than I do. Did I say that roughly right? It is just sort of sprayed on? Dave Murphy: It is absolutely right. A desiccant, which no one knows what a desiccant is, unless maybe you are in science; you have taken science courses. Yes, it is used as a preharvest drying agent. Monsanto is always trying to figure out more uses for the product, just like the corn and the – the corn industry is always trying to figure out more uses for the corn. So, they figured out you can spray this chemical, Roundup, on crops, and it would dry them out faster. And so they do it on wheat, oats, barley and they do it on kind of dry, edible beans. I think in 2012 there was a case in Michigan where some of their dry, edible beans tested higher than the currently allowed level. Rather than change their spraying practices, they just went to Federal government and said can you increase this, and they did. This is where we found – I am glad you mentioned this preharvest spraying. I will just say, we had, like I said, we had an idea where we would find it, but we were shocked when we found the three highest levels are all as a result of preharvest spraying. Cheerios. 2014 General Mills took GMOs out of Cheerios, based on pressure by groups like Food Democracy Now and GMO Inside and Friends of the Earth. They removed them, so you really shouldn’t be seeing any glyphosate residue in there, but the main, their main ingredient, in Cheerios is oats, which is one of the biggest crops that uses Roundup as a drying agent. The second highest was Stacy’s pita chips. Fascinatingly enough, Stacy’s pita chips is actually non GMO certified. So, meaning it is certified. It is tested. It doesn’t contain GMOs, but that doesn’t mean it is chemical free in any way. I think that has always been one of the criticisms of non GMO products. It does a great service educating people about GMOs in the food supply, but it doesn’t really take up that second area of concern; what kind of pesticides and chemicals are you being exposed to in your food. And the third highest was Honey Nut Cheerios, which was almost half of what regular Cheerios was. That level. Chris Martenson: Yea. I can hear people practically through the, through my headphones listening to this going “oh my God does food have to be this complex?” I have to rank the GMOs. It is just crazy what we are doing with our food system. I want to put forward here. Again, people, there are things we can do about this. I will get to that in a minute. I just need to complete this exposure level. Here is the nutty part. The government has also set a 700 parts per billion limit in water for exposure for glyphosate. If you are over that, they consider the water unsafe. So 700 parts per billion, upper limit. If I have done my math right, there is a chance I have messed this up. If I have done my math right, 700 parts per billion in water implies that to get to that 140mg for an 80kg human being 140mg of glyphosate exposure you would basically have to drink 200,000 liters of water per day at the upper limit to get that exposure. So, for some reason exposure in water has been set wildly lower than exposure levels in foods. Is there an explanation for that? Dave Murphy: I think it would be considered lower because they would probably not expect in an average area, they would not expect glyphosate to be in the water supply. When they set it they may have figured some agricultural run off. The problem is basically Monsanto lied about every property that this chemical has. We know that they lied. I mean, I am not using that word lightly. They said that it was perfectly safe. It was harmless to animals. It was harmless to – it was biodegradable. They actually did advertisements in France where they claimed glyphosate would clean your soil. That takes some hutzpa for a company to put a chemical out there that says for their marketing material that this actually, this cleaning the soil. The fact is, there is two court cases, one in the State of New York — the Attorney General in the State of New York took Monsanto to court and said these are false claims. They are fraudulent – it is fraudulent advertising. You are going to have to stop making these claims that it is biodegradable. It does not wash away. It doesn’t just evaporate. And they have claimed multiple things in their submittal process that it binds tightly in the soil and that it doesn’t stay in the soil. I mean, they get away with so much regulatory malfeasance in the way I look at it, and so two court cases prove that they made fraudulent safety claims. One is in New York State; one is in France. Interestingly enough, the US government always repeats the same talking points that Monsanto does. Glyphosate is perfectly safe. It is the most studied chemical in the history of chemicals. They keep making these claims. Nothing could be further from the truth. One of the tobacco tactics the biotech industry and Monsanto has perfected is that any scientist that does a study that shows harm or even potential harm from Roundup or glyphosate or their products, they are basically crucified and they will try to run them out of their jobs. If they are in a public university, a lot of these scientists will be fired ultimately. They tried to do that to a guy named Ignacio Apella. He is a scientist in Berkeley. He was at Berkeley, University of Berkeley. In the early 2000s he showed that there was contamination from transgenics or GMO pollen in Mexico from the corn, which is the birthplace of corn. Now he believed this was spreading because on the migratory process geese were, and ducks were picking up GMO corn that was leftover in fields and flying down to Mexico over winter in the south, and they would deposit this GMO corn they picked up and ate in the Midwest in Mexico and that is how it grew. So Monsanto basically launched a smear campaign against him. He was denied tenure at University of Berkeley and incredibly enough he fought it. He is still at Berkeley today. This is like trial by fire. You are a scientist and you are doing your duty, an obligation to science and as a citizen of your country, and you are showing there may be harm for this product; and rather than take that consideration you know, Monsanto just shoots the messenger. They have been pretty effective at it up until recently. I think with the GMO labeling movement, you know, more and more people are starting to stand up. More evidence is coming forward that shows how corrupt they are. Chris Martenson: Now what, while we are on this topic, tell us briefly about some of the push back that you have received to this report coming out. Dave Murphy: Well, just my computer was hacked the night before it went out. We got the report out. It has been non stop online. And this is a pretty common thing. Within 24 hours of the report being published Monsanto had made a statement on their Facebook page claiming again, famously, claiming that Monsanto’s Roundup is perfectly safe. It has been approved by the EPA. They said that within 24 hours. Then, the other thing is, they have this kind of army of attack trolls. I have a lot of biotech scientists that are on Twitter, on social media and they say engaging in a public conversation — well, listen these are scientists that act like angry little trolls. They act like teenage adolescents when they talk about science. We put this out. One of the guy’s names is Kevin Volta. He was a professor at the University of Florida. Ironically, he is also the Department Chair. Within minutes of our report being public he starts attacking us on Twitter. Another one is this scientist in Wyoming — Weeds, I can’t remember his name right now. They basically jump over this report and say “oh, you used the law – you used the wrong method. You absolutely didn’t use the – you used ELISA.” This is a testing method. ELISA is a testing method and basically it – ELISA is one of the methods that can show. It can show that glyphosate is there, but it sometimes gives false positives. So, it is really not the best way to do this type of study, this type of research. So we had a – we used an FDA registered lab in San Francisco, in Anresco Laboratories. They have been doing this since 1943. they are used as a spot and hold laboratory for imports from Asia. They do testing for the Federal government on pesticide residues. So, we did the gold standard mass spectrometry and just say instantly the biotech industry was attacking us on claiming we used the wrong method. Once they found out we used this kind of gold standard, which is the one, it is a testing method that regulatory agencies accept as the gold standard, then they switched to saying there is no way you could have done this properly. his guy Kevin Volta, the New York Times, did a major piece on him last year showing that despite dozens of claims that he had nothing to do with Monsanto, he was basically working behind the scenes communicating with their lobbying department almost non stop for two or three years. And he always said I am not paid from Monsanto. They don’t pay for me. They wrote him a $25,000 check for travel funds. He’s got a $25,000 slush fund from Monsanto, so he can go around propagandizing about how good GMOs and how safe they are. The fascinating thing is, he doesn’t even do GMO research. He does research on fruits and vegetables. So why would a scientist that doesn’t even have, you know, a background in doing research on GMOs, be so angry and so attacking of this new report? I find it pretty shocking. And the interesting thing was ultimately he contacted our lab. He asked for the methods that we use. The lab explained to him how it was done and on Thanksgiving day I woke up to probably the best tweet of my life. Basically this guy admitting that the lab did the right safety tests. Did the right residue tests. Chris Martenson: This was the first part that I turned to was your method for food testing and seeing, sorry for the geek fest here, people, but it’s liquid chromatography. Random mass spectrometry, it is really the gold standard. They actually, you put the test methods in here, so what the extraction process was, I read through it. I’m used to science papers, like, oh yea, this is a reasonable test. The limit of sensitivity is well below the limits that are being recorded. It is not like you were dancing around the limit of detection. You were finding things that were vastly in excess of limits of detection. I am intrigued it was hard to even find a lab that would be willing to come up with results that they knew might be published in this way. Dave Murphy: It was. I understand there are over 300 labs that were contacted in this process. It was a very detailed process. But it is an interesting journey to kind of go through this, where do you test this method? Yes, we do. Could we test this process or this product? Well, yes we can test for it. It will take some time. It is a unique molecule. It is pretty small. It is hard to test. I am just saying there is always these excuses for why the FDA and USDA hasn’t done residue testing. It does take a little bit longer for some labs to calibrate and determine the right testing methods so, but they can all do it. So, we obviously don’t want to – we want to honor that lab’s standards or what they are comfortable with, so we couldn’t use certain labs that we knew could test. We did get lucky in finding Anresco Laboratories, because they did the right test methods. They have an absolutely spotless reputation in terms of testing and they did it right. It took them months to get these testing methods and protocols down. We feel absolutely comfortable with this report. This is an extensive list. I am going to read through a couple of them, because this is linking glyphosate to everything from cancer to epidemiological studies supporting that direct in vivo studies; there is endocrine destruction; maybe liver and kidney damage at doses that are fairly low compared to the limits. Antibiotic resistance, the list goes on and on. So here is a one peer reviewed study from 2014 — the Journal of Environmental and Analytical Toxicology said that glyphosate was significantly higher in human conventional food compared with predominantly organically fed humans. Remember people, I just said we are going to get to the solution – the word just popped up, organic. Also, the glyphosate residues in urine were grouped according to the human health status — here is the gold sentence in this for people interested – chronically ill humans had significantly higher glyphosate residues in urine than healthy humans. Chronically ill. So this is a fairly large epidemiological study it is looking at when you look across broad groups of people. You can make a linkage there. here is just so much data here. I hardly know what to — my mouth is moving but words are not really forming. To me as a scientist, once you have this body of data in here, there would be some way that this would be feeding back into our regulatory process, but it seems not to be at this point, yet. Is that fair? Dave Murphy: That is a very fair statement. You covered that perfectly well. Listen, neuroscientists, you understand exactly what this means, and the thing is Monsanto knows what this report means, but a lot of people will read it and kind of get confused. There is a lot of science in there. I’m just saying listen last year the World Health Organization, an international agency for the research on cancer, declared glyphosate a probable carcinogen. So 2015, a group of 17 international scientists, got together and reviewed all the latest research and said that it is probably a carcinogen. So, this absolutely agrees with the same assessment from the 1980s. I do think it probably causes cancer, but it does in terms of what are your exposure levels, how is a person exposed to glyphosate so that they would get cancer. I am glad that you brought up this 2014 study in Europe. And it was done by Monica Kroger in Europe. What they did is they analyzed dairy cows in Germany and in Denmark. In Germany they didn’t have GMO feed; a Roundup ready feed in Denmark they did. So the levels of a glyphosate residue were very high in these animals and in humans that had high levels of glyphosate in them. Even worse is, they showed that the animals that were the sickest and the humans that were the sickest had the highest levels of glyphosate. The real thing is my bigger concern when I look at this systematically I try to take a systems approach to looking at something, looking at a problem, analyzing it, figuring out a solution. The autoimmune impacts from the antimicrobial antibacterial aspect of glyphosate are much – because of the food level residues that we have discovered, are more likely to cause significant harm to a wider population base. The same is true with endocrine disrupting. The exposures to like if this is chronic, low dose exposure to a chemical. And so, when this scientist in Europe said that the animals and humans have the highest glyphosate levels, were the sickest, it makes a lot of sense when you understand the mode of action that you know plants of Roundup. In a farmer’s field plants do not die outright. It is not caustic. It does not automatically kill them. It kills the way that they create photosynthesis. It shuts down the immune system. So plants die by eventually being exposed to pathogens in the soil. That is how Roundup works. So if it works like that in the soil in a farmer’s field how does that impact human health? I think it is pretty concerning. I came across two different places where they said 99% of glyphosate is excreted. That is 99%. That is not 100%. Where is that extra 1% going? Then I saw one is from an EPA document and one is from that German review; and it says that glyphosate 1% of glyphosate is absorbed into bones in bone tissue. That is frightening. If you understand that it is a chelating chemical. That means it can bind with your bone and stay in there. So one of the cancers linked to glyphosate that the World Health Organization came out with last year is non Hodgkin’s lymphoma. It is basically a blood cancer. It starts in bone and bone tissue. I am saying having a chelating chemical absorb into bone and bone tissue that is a real area for exposure and significant health risk that really hasn’t been considered by the US regulatory agency or even the scientific community because many people for years have believed Monsanto’s talking point. We put it in there because we think it is a new avenue by which significant harm to human health could be happening. Chris Martenson: Now here is my standard as a toxicologist when we studied this – you are always looking for a dose response curve and there is a level beneath which usually something you say is safe, right? In that dose response curve, if you are trying to set a daily acceptable limit on something or an exposure that you are going to call non harmful, you wouldn’t want any of your – you wouldn’t want to find anything harmful in your animal studies. Listen, animal studies aren’t perfect. Rats metabolize things differently from humans. We have to allow a little for that. Here is again from your report talking about an invivo study, that means in a living rat in a living animal, but in this case a rat. An invivo study of Roundup, not glyphosate, but Roundup which has that other 59% of who knows what in there. Invivo study administered to rats in drinking water diluted to 50 nanograms per liter glyphosate equivalents. Now that is half the level permitted in drinking water in the US, but 14,000 times lower than that permitted currently in the drinking water in the USA resulted in severe organ damage and a trend of increased instance of mammary tumors in female animals over a two year period of exposure. Age. So, that to me is the sort of finding that if I was trying to put something forward say in a drug study or in a modern toxicological study, that would be a pretty difficult thing to get around. That finding right there. That is 50 nanograms per liter. 14,000 times lower than currently permitted. You find a finding like that — well, we would want to follow that up; we would want to do additional studies; we would want to do multi species studies; we would want to follow that. That is pretty shocking to me. Dave Murphy: Well, listen yea. I think the more that I study this the more concerned I became. I was shocked that they had kind of gotten away with rigging the roles against the American public. I was pretty stunned. And I really think that the scientific community has to stand up to chemical companies. They have to stand up to corporate America, where they produce flawed studies that expose humans to excessive risks. I would just say it wouldn’t be an excessive risk if glyphosate was only used on 1 to 5% of our food products. But it is – it is everywhere. 75 to 80% of the processed foods in the US contain GMO ingredients and more importantly Roundup is even being sprayed on crops that aren’t Roundup ready, as a drying agent. So, the level of exposures to the human population in the United States alone is massive. And what these glyphosate residue testing shows is that the US Federal Government is out to lunch and they are taking the word of one of the most corrupt chemical companies on the planet and they are exposing all of us and our children’s health. Basically, this is – we are playing Russian roulette with our food here. I say that because American mothers go to the grocery store and they buy Cheerios because they trust that that company has made it and has made it within the rules and regulatory safety levels set by the US government. The problem is now we are finding that glyphosate is – the independent peer reviewed studies showing harm from glyphosate the last eight years alone has exploded. It used to be just a few of them. Now it is dozens of them. I know from my work with internet scientists in the United States and internationally, there are at least three to six more studies coming out in the very near future that will show harm from glyphosate at these low, ultra low levels that we are all chronically exposed to in our food supply. The good news is, though, you can avoid glyphosate. The way to do that is to eat organic food. You know? And I think it looks like we may need to create a glyphosate free label for the American population just for them if you know as new evidence becomes apparent I think it is going to be the American public is really kind of recoil against what they are doing to our food system. Chris Martenson: Oh, absolutely. That is the key thing that anybody can do and we have discussed this for other reasons in the context of neonicotinoid pesticides said hey what is the solution? Organic. Eat organic. Now, I know that eating organic is more expensive, but this just shows again that whether your concern is for the environment and not wholesale slaughtering of the biocide of neonics that are just taking out everything in the insect food chain, not just the things we are calling pests, but as well for your own personal health. You don’t want an obviously suspect toxin being used as a drying agent on your grains. Organic is the answer to that. And that is the simplest answer people can do. Beyond that, somebody says “okay, let me just, for my own sake, go organic here.” I think it would be a great decision. What I love is you have a call to action. It is not just an oh my God, look at this crazy stupid stuff happening. You have four points here in your call to action. The first being renewed or a federal investigation into the likely harmful effects of glyphosate on human health. So on that first step how would we go about getting that federal investigation? Is the EPA, what is the process? Do they ever reopen lines of inquiry into chemicals or what actually is being asked for there? Dave Murphy: Yea, well they do actually. The interesting thing is right now the – the FDA and there is a renewal process for glyphosate. When I say that the chemical comes up for review every 15 years. This is the same — is true in the US as also in Europe, so the interesting thing is glyphosate was supposed to be re-authorized in 2015. The fascinating thing is it wasn’t. The Obama administration kind of kicked the can down the road. And so you know, obviously, they probably didn’t want to release this, their approval of it or the re-approval during the election and in fact, there was supposed to be a hearing. But with the EPA scientists basically on a review of its carcinogenicity and crazy enough five days before this is supposed to take place a week before the election, the Obama administration canceled it. So basically they have a panel of experts they have reviewing this process and for carcinogenicity. The interesting things is the World Health Organization last year declares it a probable carcinogen. This year the EPA leaked, accidentally leaked, their final review of it and they said absolutely zero connection to cancer. This is why this is a pretty controversial topic right now. The EPA is currently reviewing the safety assessments for it. We are calling basically on the Inspector General to look at this whole, you know, this whole process and we are asking them basically to do a thorough review in considering – I mean here is the thing. The EPA scientists, they reviewed some of the latest studies, but they didn’t include the findings in their consideration. So yes, they looked at the study. They marked it in the docket, but they never considered that data this new scientific data that shows harm. They refuse to use that new data in their review, which is kind of a bit of a crazy thing for a regulatory agency to do, to have scientific studies that have been independent and peer reviewed showing harm. You are going to know yes, that study is out there. We are just not going to use any of that study’s data in our final review. Chris Martenson: I don’t understand. You are using words and theoretically that sentence should make sense to me, but I don’t get it. Just – I don’t – it is like we are doing this study of the data and the only thing we are not including in that is the data. Chris Martenson: Okay. Alright. How would a person weigh in on that process and, you know what is the – what is this process? Dave Murphy: Well, for direction, we have a petition. We are calling on the EPA Inspector General to ask for a review of all the latest findings. We are doing it – the Inspector General’s office in every agency is kind of like the military police. They police the agency. So they are independent. They can’t get – they can’t be corrupted. I mean, I am just theoretically – they are independent, so they would do a review and they would hopefully do a balanced review of all the latest data and you know, figure out how if there is real reasons for concern. And listen, we have done, this is one of three reports. There’s two more coming. So this is just the beginning of this process and I think when we are done I don’t think they will be wanting to buy Monsanto. I have only spent the last ten years of my life trying to get this – these kind of changes in regulatory agencies and public policy and legislation. I know how difficult it is, but I do think that this is a reasonable request — is to ask for a Federal investigation by the EPA inspector general, analyze all the data and more importantly, it is not just that. We want all the data that Monsanto submitted. We want it publicly. We want to see it publicly. Chris Martenson: You mentioned two of the calls to action. 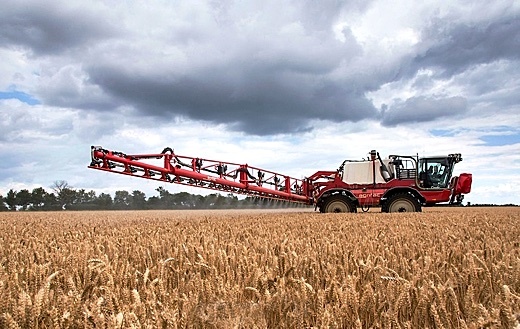 The third then would be a permanent ban on the use of glyphosate as a pre harvest drying agent for crops such as dry beans, sunflowers, wheat, oats and barley. That seems perfectly reasonable. Hey, how about we don’t spray this stuff directly on the stuff right before you eat it? That doesn’t seem like too – what kind of economic harm would that cause to farmers if they didn’t have access to that? Dave Murphy: Well, here, it is a new method. It is not – okay you would – if they use it to dry out the crops. It dries out the crops immediately. So, they wouldn’t have to go in storage. They need to have the moisture content down to a certain level to make sure there is no diseases that, fungus or crop diseases show up in the drying process. You have storage bins and then you have the drying time that it would cost them. All of these farmers have bins anyway. They probably haven’t been using them, because they have been spraying Roundup. It’s a shortcut. But it’s a shortcut that puts all of our health at risk. So, there is no reason to do it. And so the question really is, we are, the United States is in a system of push and shove; regulation. We need regulations. Regulations are terrible. Regulations cost businesses so much money. The question is, listen, a regulation is like the rules of the road for that industry. I would just say regulations can be burdensome, but most times they’re not. You have to understand, regulations are the thing that keeps your tires on your car not falling off while you are driving down the road. We have a very clear situation here where the regulations have been written to benefit the chemical industry, and that puts us at risk and that puts our health at risk. Here is the thing – talking about the cost. I don’t think that there is – I think the cost to the farmer in the industry is minimal, especially when you consider it on a scale of justice, the harm and the likely harm that it is causing for massive exposure to this chemical in our environment. I think, like, having them not spray glyphosate or Roundup Ready — Roundup on crops for preharvest, that is a – that will be a massive benefit to the American public’s health. I just think we need to start looking at things differently, and I know you do this, but I am just saying in this conversation I think it is important to remember that the health and well being of the citizens of America is a thousand times more important than any potential harm economically to a chemical company. Chris Martenson: Totally agree and number four in your call to action is calling for the immediate release of all the restricted, allegedly trade secret data from all the previous industry studies and glyphosate hey let’s see the data and then we can all decide. I totally agree. It is not a trade — here’s what — it is just like the secrecy laws in government. Often they are used because of something embarrassing that you wouldn’t want to see the light of day has come out, not because it is a legitimate secret that has a protected interest behind it that is legitimate in any way. So I would agree, let’s get the data out. I don’t think that safety data should be held secret as a general principle. Of course, that is a much broader change than anything around glyphosate itself. But I feel that the winds of change are here. I am watching people being legitimately shocked at where we are. I got to tell you the ecological data is so shocking. That bounces off of most people. I mean, what do you do when you open up the newspaper and read that 40% of the birds are missing, right? Or an equivalent number of insects. What does that mean when the whole bottom of the food pyramid is just seemingly in rapture and gone somewhere else? And whether it is due to glyphosate or these other chemicals we are using, there is clear warning signs saying look, let’s not just dump stuff willy nilly, but more importantly are we going to use science to guide our decisions. If we are going to be a faith based, technologically based, science driven culture, then let’s do that or not. Here is the thing it is not. I’m sure some people are going to start putting a partisan lens on this. I am not, because whether this was under Obama or Bush prior or Trump, now I am going to guarantee you this transcends left/right. This is about dollars versus people. This is about corporations and profit motives versus our right to live in an open, transparent and relatively safe environment to the best of our ability. So, that is why I really I like this report. I am glad to hear there is more coming. This is an extraordinary effort here. Very well researched. Lots of science. Lots of data. I hope we didn’t get too geeky for most people on this, but there are things that I think are actionable here. Your calls to action are great and for anybody, listen, just buy organic. That is just — start there. Like listen, I don’t know what is going on in the world, so let me just buy organic. That is a great place to start. And that is a fairly easy step that anybody can take. But beyond that, Dave, tell us how people can first follow your work more closely; and also, how can they get involved in this? How can somebody listening help you help us? Dave Murphy: Listen, Chris that is a great question. I appreciate it. You can go to the website FoodDemocracyNow.org. We have a call to action on our homepage, basically asking for this investigation at the EPA and an independent investigation also asking for a release of this data. We are also going to be launching a petition to all of these food companies asking them to halt the practiced to make it. Here is the thing – we find this to be shocking information and we put it together. I mean, I would just say this is probably one of the driest, most sober things that I have written in the last decade, because we did not want to start a panic. We do not want to demonize food companies like General Mills and others. We really want them to just halt the practice and you know, I think the biotech industry and some of Monsanto’s’ trolls have accused us of fear mongering. Listen, this is just a reasonable risk assessment of this thing. I would just say one of the things is people — I think it is very important that people take action in their daily lives where they can, and so we send out petitions or call to actions. Make sure I sign every petition that comes in my inbox because one, I know how much hard work it takes to create that petition, and I know how important these issues are. If you are on a list of an environmental group – I would love for you to join fooddemocracynow.org if you are interested, but any environmental group that you get a petition asking for a change in regulations or a change in policies, please sign that because that is the backbone of reform. Now, I like to say that is kind of drive by activism. That is the first step. The next step, you know, getting engaged on Facebook and Twitter social media. Communicate your ideas and your concerns to the regulatory agencies, to the companies involved. Try to – I mean, the thing with social media one person can make a difference at light speed. Companies are responsive to this kind of thing and they do move pretty quickly with the right amount of pressure. And the other aspect is listen, we are talking about buying organic food and you know, I go down and I look in my fridge and I look in my pantry and 90% of everything I have in my house is organic. Three reasons – one, I believe it is the best food out there. Food is not a commodity and it is not just empty calories. Food is the basis for your health and eating healthy food will give you a better opportunity to be healthy. More importantly, if you think that organic food is too expensive; well, you should just look up the price tag for chemotherapy or heart disease. I am just saying eating organic food is about a long term investment in your health, the health of your family and the health of the environment. More importantly, I think it helps, can help buying organic food. I think we need to really build a new food economy that emphasizes health and well being of the consumer, the family farmer and the environment. I just think we need to take back our food supply with every bite that we eat. For me, those are the three reasons why I buy organic food. And how you can, you know, help make this change happen at warp speed. Chris Martenson: Absolutely. Well, thank you for that and thank you for all your work on this, Dave. We have been talking with Dave Murphy. He is one of the authors of Glyphosate Unsafe On Any Plate. It is a fantastic study. Well done. Again, not sensationalist, packed with science, packed with data. Enough there to really change my view. I knew glyphosate was sort of at the edges. I am worried about it in terms of the impact on the gut biome. The more I learn about those trillions and trillions of cohabitants in my body and the impact on our health by having a deregulated or unbalanced gut biome it is just piling up. It is extraordinary. Glyphosate directly inhibits a key pathway of not all but some of the more beneficial inhabitants of my gut and your gut. On that basis alone caution would be warranted, studies definitely are needed and until we have that harder data hey, let’s avoid it. So, thank you so much for all your hard work in this. I am wishing you all the best in this. I am preparing myself for a little troll influx. It is going to happen. That is the world we live in, but this is how we have to raise awareness and give people the context they need to make the changes to help us all. So, thank you so much for your time today. Thank you everybody for listening this far into what is very much a much longer than usual podcast, but I felt it was worth it and please visit Dave at Food Democracy Now. Dave, thank you so much. Dave Murphy: Listen, thank you very much, Chris. I really appreciate being on Peak Prosperity and I am definitely looking forward to reading your book. So thank you so much.